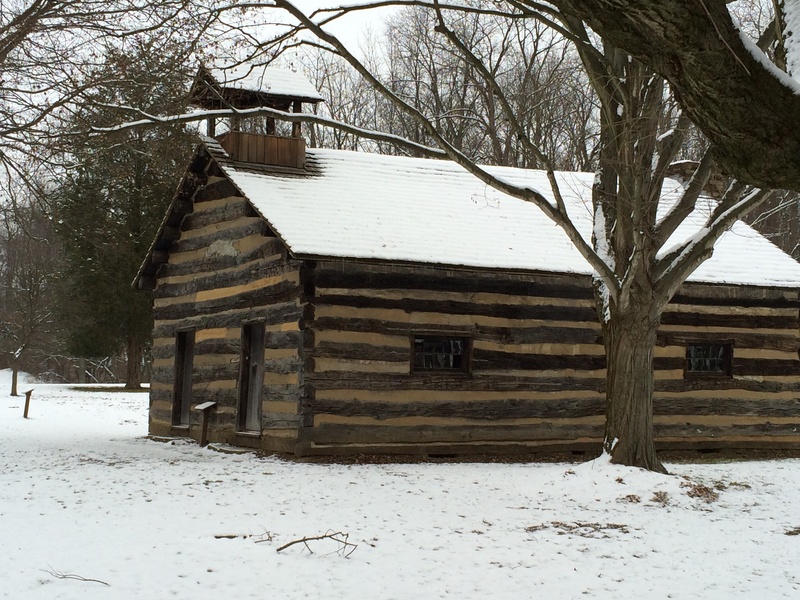 In the wilderness of Ohio in 1773, there were a band of missionaries and Lenape Indians celebrating Christmas at Schoenbrunn Village, the first settlement in Ohio. They’d come to this wilderness and started the village a year earlier to preach the Gospel to the Lenape, also known as the Deleware. The missionaries, both white and native families moved from a town in Pennsylvania called Bethlehem. Moravians had come to Bethlehem years earlier when a preacher named John Wesley had donated the land to them. But the Lenape had been forced west as more white men had moved into the area, so the Moravians decided to move west with them. Life was hard in Schoenbrunn. Cabins were quickly made and community gardens were planted that included beans, corn, and squash. Most villages also planted potatoes and turnips next to their cabins. The rest of their food came from hunting. But the real danger came from the many Indian tribes surrounding the village, some of them hostile. They didn’t have time to build a fence to keep out varments and the first Ohio church until Spring, 1773, but they did manage to build a school, the first built in Ohio. The school taught both boys and girls, a first for the colonies, how to read the Scripture in their native language and in English. The Moravians printed a Bible in the Lenape language. 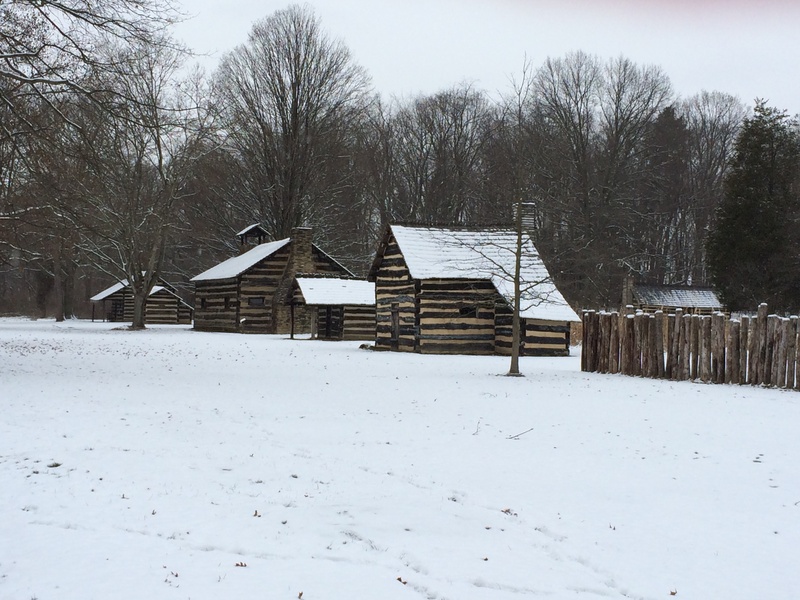 The village council was led by David Zeisberger and including white Moravians and Lenape converts. The rules for the village were established by the Lenape Christians. These missionaries did not consider the native converts to be beneath them but instead brothers in Christ. After a year and a half in Schoenbrunn, the villagers were excited to celebrate their first Christmas. They had many traditions that we still use today. They would have a candlelight Christmas Eve service called a Lovefeast. During this service, they sang Christmas hymns, shared sweet rolls and coffee together, and prayed for each other. The service concluded when they gave each child a bleached beeswax candle and a scripture to hang on their trees at home. The white candle symbolized the purity of Christ and the flame showed that Jesus is the light of the world. A red ribbon would be wrapped around the candle to symbolize how Jesus shed His blood for a lost world. In every home in Schoenbrunn, families decorated artificial Christmas trees with candles and papers with scriptures written on them. The trees were made by putting together a wood frame and decorating it with real pine branches. The family would also make a putz, a nativity village that included the nativity scene, the wise men, and other Biblical scenes and place it under the tree. Most Moravians gave small gifts at Christmas, but resources were so limited that the children in Schoenbrunn were happy with their candles they received at the church. After a Christmas feast, the family would read the verses hung on the tree and talk about God’s blessings at Christmas. Schoenbrunn Village has been restored and is open to tourists. Find out more at this link (http://www.ohiosfirstvillage.com) . Tamera Lynn Kraft has always loved adventures and writes Christian historical fiction set in America because there are so many adventures in American history. She is married to the love of her life, has two grown children, and lives in Akron, Ohio. 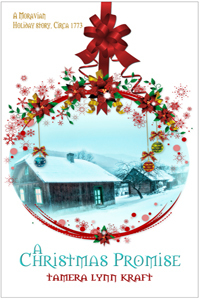 Soldier’s Heart and A Christmas Promise are two of her historical novellas that have been published.